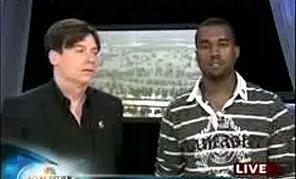 Kanye doesn't like George Bush and officially has huge balls to say it on live TV. Perhaps the best part of Kanye's rant about the lack of support from our government and portrayal in the media was cutting to Chris Tucker following Kanye's comments. File this one under WTF!